What began over 125 years ago as a homespun network of local athletic clubs and leagues to foster the love of sports has morphed into a billion-dollar entertainment industry with the fortunes of teams, cities, and players at stake. From taxpayer-funded stadiums to tax-exempt statuses, to the devastating injuries players endure, professional sports have become ripe for manipulation. And with the imminent nationwide legalization of sports betting, more money can only lead to more problems. In this long-anticipated sequel to his seminal takedown of professional sports, The Fix Is In, internationally recognized game fixing expert Brian Tuohy reveals the truths all sports fans need to know. Based on diligent research and previously unreleased FBI files, each chapter exposes sports in a manner none of the major leagues’ broadcast partners would dare attempt. Touhy spares no professional sports league as he rips through lawsuits, legal entities, and financial records to expose the truth. Along the way, champions are dethroned as frauds, referees are exposed as accomplices, and legends are demolished. 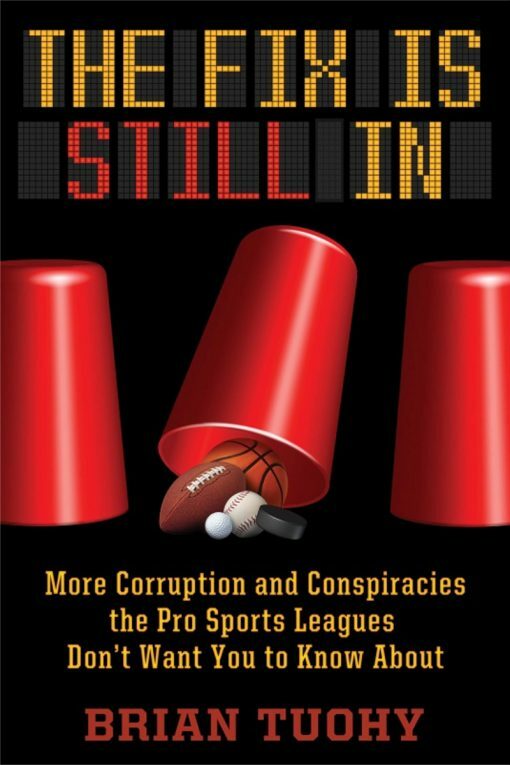 Brian Tuohy is recognized as a scholarly authority by the U.S. Supreme Court and is the author of The Fix Is In: The Showbiz Manipulations of the NFL, MLB, NBA, NHL, and NASCAR; Larceny Games: Sports Gambling, Game Fixing and the FBI, and A Season in the Abyss: Sports Gambling vs. the NFL’s Integrity. His work has appeared in Sports Illustrated, Vice Sports and Sports on Earth among other outlets.